Here’s a great worksheet for your beginning writer! It’s important to capitalize the first letter of a sentence. 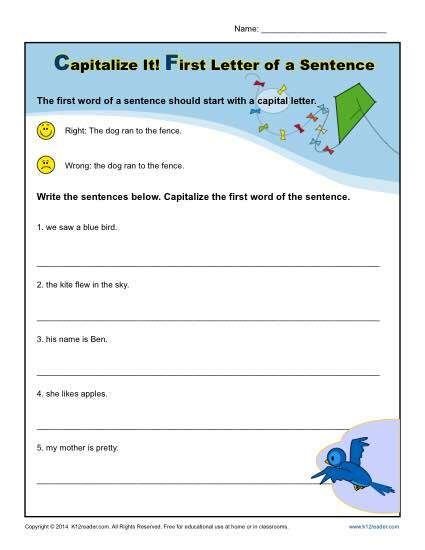 This worksheet asks your student to rewrite a sentence adding the capital letter. Use it for Common Core Standards for kindergarten Language or for other students as appropriate.